Rush Golf Club is the most northerly Links course in County Dublin. 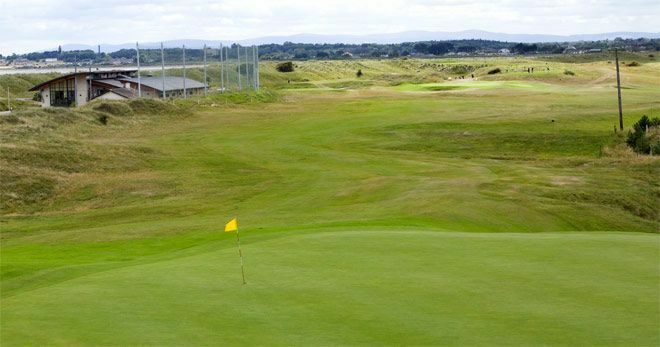 The course is maintained to the highest standard with all the features and challenges associated with Links golf. With a par of 70 and standard scratch 69, measuring 5,603 metres off the blue markers and 4,691 Metres for the Ladies with a standard scratch of 68..
As a nine-hole course the number of members has remained low and this in turn ensures there is a friendly atmosphere with a warm welcome for everyone. 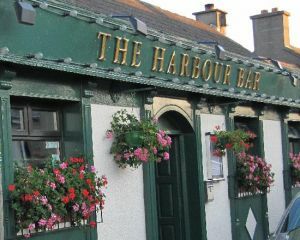 The club has recently opened its new state-of-the-art clubhouse that further enhances the charm of this fine Links. A beautiful panoramic view of Lambay Island and Dublin Bay can be seen from the 1st, 2nd, 10th and 11th tees. Rush is one of the few clubs that has been fortunate enough to keep its old world charm and timesheets are rarely necessary. 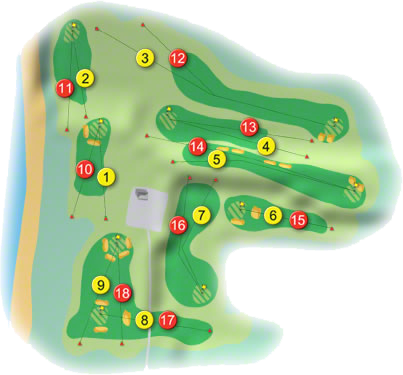 So go and enjoy a relaxing game of golf with all the challenges this fine Links has to offer. A warm North County Dublin welcome awaits you in the clubhouse where you will be making plans to revisit this little gem tucked away beside the historic village of Rush. A word of warning if you are going to play Rush give yourself a little extra time to find the course. The Ladies of Rush Golf Club won Mid-Leinster Final of the AA Insurance Minor Cup and made their way to Royal Tara Golf Club in 2009 to compete in the National deciders. They met Ulster Champions Rockmount Golf Club in the All-Ireland Semi-Final the following day and went down by 3 matches to 2 matches. First on the tee was Dorothy MacKen Kane (21) lost her match against Carol McGrath (23) by 2 and 1, she was followed by Marie Louise Brennan (22) who lost her match by 1-hole against Jan Lindsay (23), next up was Ann Harford (25) who had a comfortable 4 and 3 over Maire Donnelly (23), in the penultimate match of Janet Hegarty (25) beat Kathleen Morrow (24) by 4 and 2, the bottom match of Yvonne Martin (29) was a convincing 6 and 4 win for Noeleen Houston (29). They won the Uden Cup in 2002. The Ladies of Rush Golf Club won the North Dublin Lady Captains Golf Association Team Trophy in 2002 and 2003. They were County Champions in the J. B. Carr Diamond Trophy in 1999. They won the Uden Cup in 1961 and 1987. They won the McDonnell Cup in 1971 and 1989. They won the O'Grady Cup in 1996. The Ladies of Rush Golf Club won the North Dublin Lady Captains Golf Association Team Trophy in 1975. I thought my legacy to the tour would be as a player. You might say that?s changed now. I still think the whole thing can be bigger and better. It?s incredible. And the best is yet to come."